Simon & Schuster, 9781476761466, 352pp. A masked man with a gun enters a sandwich shop in broad daylight, and Meredith Oliver suddenly finds herself ordered to the filthy floor, where she cowers face to face with her nemesis, Lisa Bellow, the most popular girl in her eighth grade class. The minutes tick inexorably by, and Meredith lurches between comforting the sobbing Lisa and imagining her own impending death. Then the man orders Lisa Bellow to stand and come with him, leaving Meredith the girl left behind. After Lisa’s abduction, Meredith spends most days in her room. As the community stages vigils and searches, Claire, Meredith’s mother, is torn between relief that her daughter is alive, and helplessness over her inability to protect or even comfort her child. Her daughter is here, but not. Like Everything I Never Told You and Room, The Fall of Lisa Bellow is edgy and original, a hair-raising exploration of the ripple effects of an unthinkable crime. It is a dark, beautifully rendered, and gripping novel about coping, about coming-of-age, and about forgiveness. It is also a beautiful illustration of how one family, broken by tragedy, finds healing. Susan Perabo is the author of the collections of short stories, Who I Was Supposed to Be and Why They Run the Way They Do, and the novels The Broken Places and The Fall of Lisa Bellow. Her fiction has been anthologized in Best American Short Stories, Pushcart Prize Stories, and New Stories from the South, and has appeared in numerous magazines, including One Story, Glimmer Train, The Iowa Review, The Missouri Review, and The Sun. She is Writer in Residence and professor of English at Dickinson College in Carlisle, Pennsylvania, and on the faculty of the low-residency MFA Program at Queens University. She holds an MFA from the University of Arkansas, Fayetteville. "[A] sharp and suspenseful novel...The novel’s tension arises as much from Perabo’s insight into a complex and changing family dynamic as from the horror of an unusual but believable situation. Perabo’s female characters are particularly strong....Survivor’s guilt takes on a unique form here, as the novel plays with the reader’s understanding of what is actually going on in Meredith’s world." "Absolutely masterful...this should be the book to launch Susan Perabo into the realm of Known Writers, those folks whose each new work marks the landscape in overt ways. All her powerful skills are on display here—the vivid, telling details, the strangely askance story actually being told, the murky irresolution that’s somehow gratifying despite not delivering on what most readers will likely expect...this is a dynamite, stunning book that’ll hang in you long after you finish it." 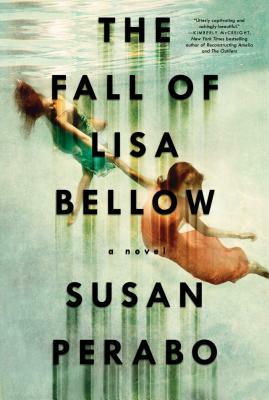 "Utterly captivating and achingly beautiful, The Fall of Lisa Bellow brilliantly explores the aftermath of a shocking abduction in an idyllic town, moving seamlessly between the rocky terrain of teenage grief and maternal guilt to show the ultimate redemptive power of love. It's a fantastic, thought-provoking novel."